A collection of people taking photos with all kinds of cameras. Photographer at the Bayon in Angkor Wat, Cambodia. Dangerous selfies on the unstable ground on the Cliffs of Moher in Ireland. 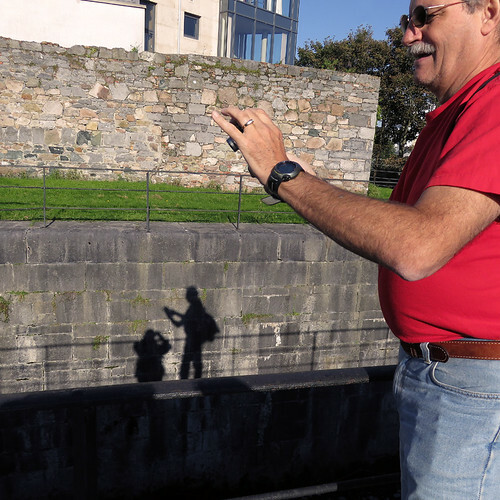 Taking pictures on our stroll along the river in Galway, Ireland. 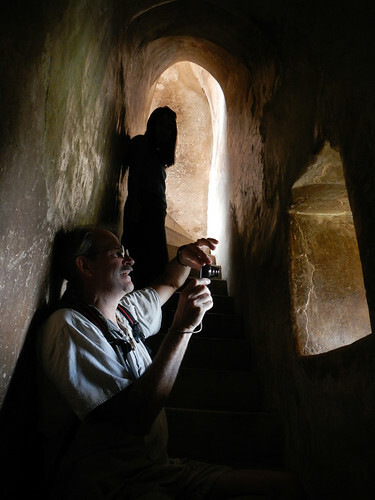 Taking a photo in the Thatbyinnyu Phaya in Bagan, Myanmar. 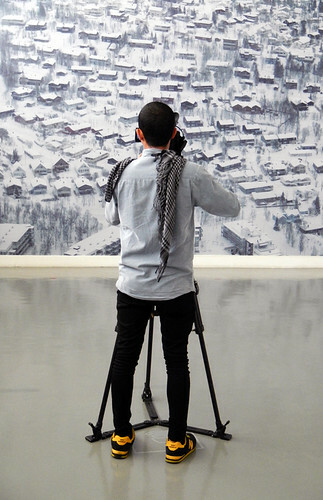 A photographer at BACC, an art mall in Bangkok taking shots of the exhibition of the Princess of Thailand’s work. 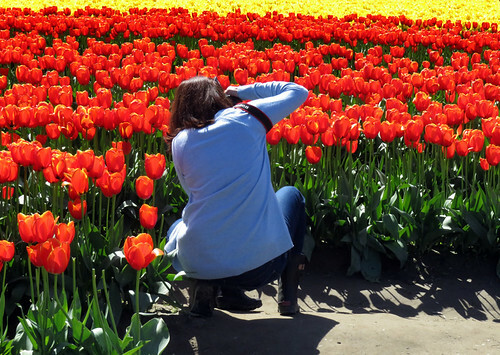 A photographer in one of La Conner’s tulip fields. “I’m taking a picture of you taking a picture of me.” These kids in Jaisalmer, India, were bouncing around so much it was hard to keep them in the frame. That home-made camera is priceless! 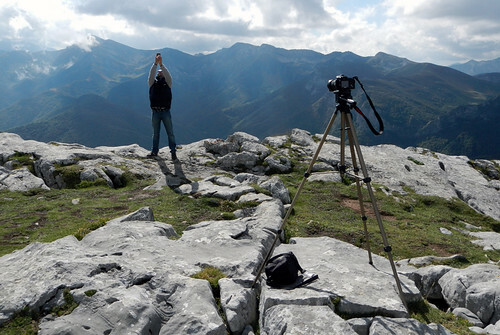 A photographer takes a selfie in the Picos de Europa in northern Spain. 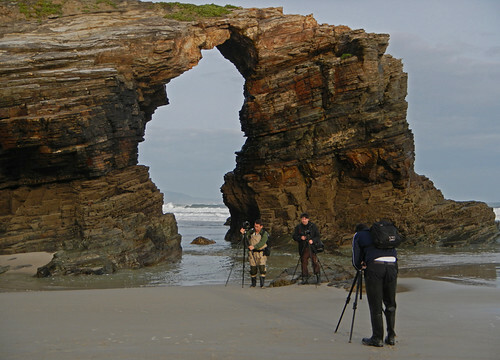 Some very serious photographers in among the fantastic rock formations at the Playa de las Catedrales near Ribadeo, Spain. Taking a photo of an old camera on a seamless background made of a piece of drawing paper. 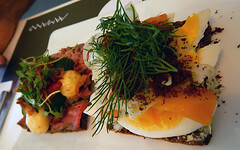 More on Cee’s Fun Foto Challenge: Taking Photos/ Cameras. Great idea for a post. Love those kids in Jaisalmer. The idea was Cee’s – she comes up with a lot of unique challenges! And I loved the kids in Jaisalmer too! 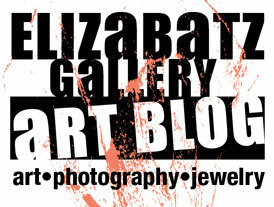 Great gallery – enjpyed it very much!